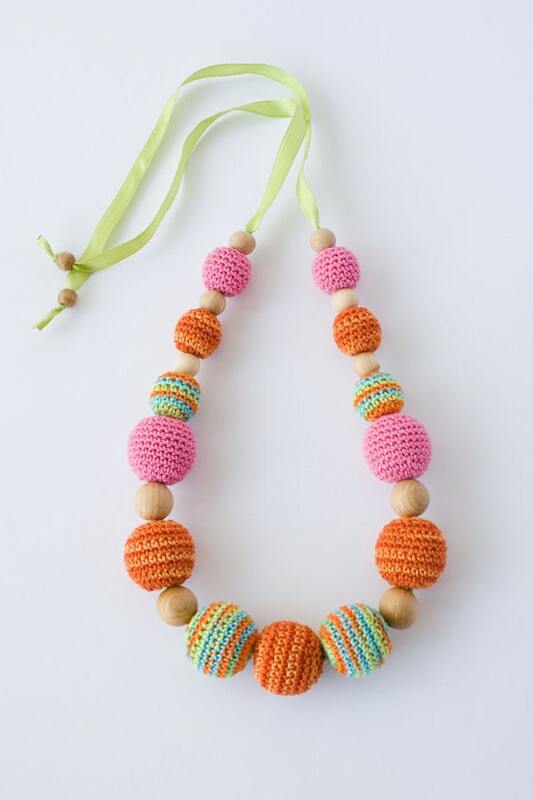 Our next sponsor for the Get Green For Spring hop is the wonderful Freja Toys. She has some AMAZING knit and crochet items for kids and I'm in love with that we received for review. I got the Crochet Vegetable Rattles (in tomato, carrot, radish, corn and mushroom), the Sweet Cherry Teething Ring and the Babywearing Mommy and Baby Doll. They all arrived so GORGEOUS! Sorry about the pacifier, he had just woken up! He loved chewing on them!! As you can see Emerson loves his items!! He isn't into the doll as much as I thought he would be, but it's all good because Avery has claimed that! The vegetables are crocheted and they are so gorgeous. The detail on them is amazing. The radish has a 'root' on it and the corn husks can be slightly peeled back, they are so realistic. I think his favorite is the mushroom though, It's small enough to hold and he loves to just shake it. Each one has a little rattle inside so they make noise and he loves that. However they are quiet so they aren't super annoying like other noise makers are. She was wanting to send me a nursing necklace, but since we're not nursing I asked if I could have the teething ring instead and she said yes and sent it. I'm so glad I chose that option. 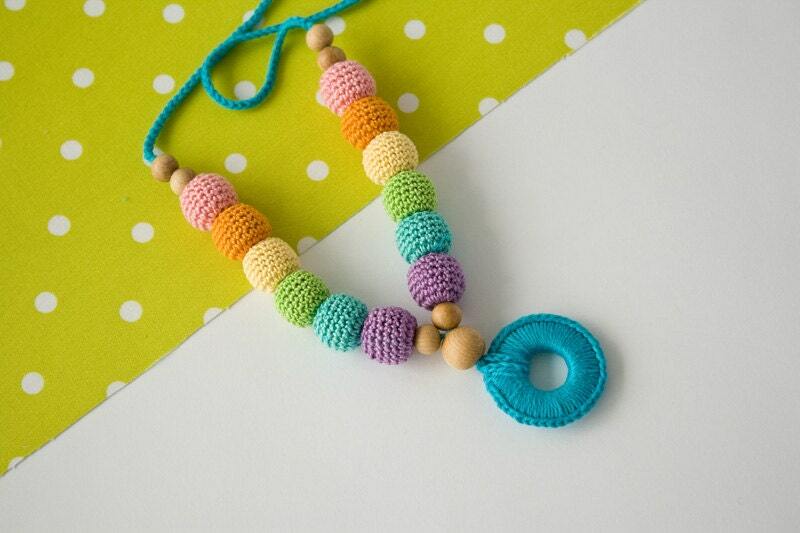 The beads are made out of Juniper and are completely safe for babies! I love the knitted dolls. I knit and there's no way I could knit these. Number one they're done on SMALL needles with skinny yarn, so they're very time consuming! The mommy has a little skirt that can be removed as well. And I just love the sling! You have an option of choosing 1 of 3 slings for your doll too so it's slightly customize able. And they have different dolls to choose from with different colored hair and different outfits. One of her nursing necklaces. 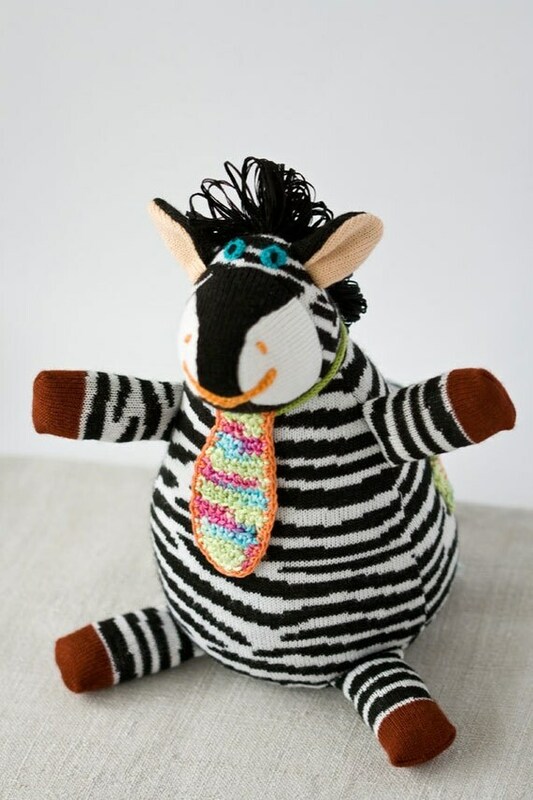 She also offers knitted animals like this zebra!! How cute! Price: That zebra is $30!!! Which I think is AMAZING! The teething toy is $16 and her dolls are $42! But they come with a mommy, baby and a sling, so that's a great price! Overall: ***** LOVE these toys! Look for the Giveaway beginning March 11th!